1. The decisive game in Moscow: The new WCh challenger Karjakin analyses his final round win against Caruana. 2. Out-manoeuvred: Anand shows how he inflicted on defensive artist Karjakin his only defeat of the candidates tournament. 3. 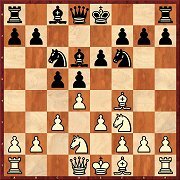 Theoretical advantage against Anand: Kasimdzhanov shows on video how his protégé Caruana outplayed the ex-world champion straight from the opening. 4. “Battle of the Scandis”: Daniel King demonstrates Carlsen-Grandelius with its piece sacrifice and attack worthy of a world champion (video). 5. Romanticism put to the test: Robert Ris discovers great potential for both sides in the Max Lange Attack. 6. Successful experiment: Nakamura tries a Kasimdzhanov idea and wins a sharp Petroff game. 7. How to play the Najdorf! Vachier-Lagrave explains his textbook attacking game against Giri. 8. 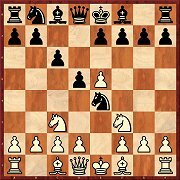 What do you do with a pawn majority on the kingside? Strategy expert Mihail Marin shows you the options! 9. “A seemingly well protected king”: Together with Oliver Reeh destroy the black king position one move at a time. 10. A diamond against the French with 3…dxe4. Together with Simon Williams dismantle the Rubinstein Variation – „Move by Move“! Gergö Havasi’s suggestion – 3...Bf5 instead of 3...Bg4 – first of all covers an enormous amount of territory. But the material soon divides and becomes easier to understand. According to Havasi the setup is easy to learn. In Part 1 4.c4 and lines with d4 are dealt with. The Anti-Grünfeld variation with 5.h4 has become a Chinese speciality. Evgeny Postny considers ignoring the white advance with 5...Bg7 to be the best reply and points out in his conclusion that many lines remain unexplored. Our author Viktor Moskalenko considers the flexible 3...c6 better compared to the immediate 3...g6 and justifies this with a little known variation (4.Qd2! etc.). 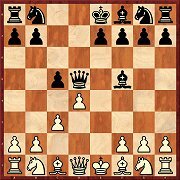 According to how White reacts to 3...c6, Black will either fianchetto his king’s bishop or not. 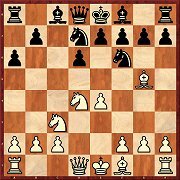 The Two Knights System is becoming ever more popular and so Alexey Kuzmin offers in 3...Nf6 an equally good alternative to the popular 3...Bg4 4.h3 Bxf3. It is, however, left up to each individual whether to surrender the bishop pair or as in our subject area to prefer French type positions. 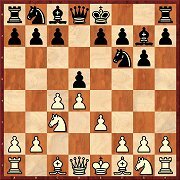 In his extensive article Andrey Sumets treats above all the two main moves, 7.c3 and the slightly more modern 7.Nbd2. There are numerous transpositions and subtleties to be borne in mind. 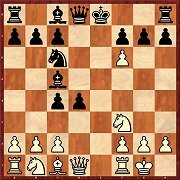 Although Black should equalise, this is not always so simple in practice. Spurred on by Robert Ris’ article in CBM 169 Markus Reinke wanted in his researches to go into more detail concerning the Wing Gambit. 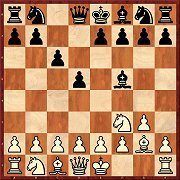 In the first part of his article he examines the continuations 3...e6, 2...Nc6, 3...Nf6 and above all 3...d5. The natural move 4...Bf5 is played surprisingly rarely. 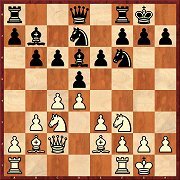 Viktor Gavrikov has examined those lines which are possible after it; the main variation arises after 5.Nf3 Nc6 6.Be3. 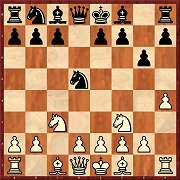 Black should be able to equalise and to do so he does not have to learn so much theory as is the case for other variations of the Alapin. 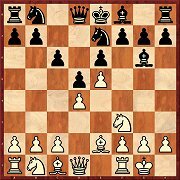 This Najdorf variation continues to remain popular, but has been analysed in less depth than the 6...e6 lines. Igor Stohl investigates in Part 1 of his article the continuations 7.Bc4 and 7.f4. 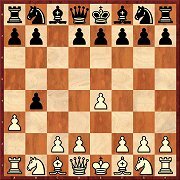 Black appears able to hold his own against the two most frequently played moves. The forcing nature of the variations in the Max Lange Attack has always enthused opening theoreticians. In his researches Robert Ris can make fall back on practical experience in the lines, but nowadays analyses are even more influenced by strong engines. Sometimes variations disappear from practice (among top players) and one is not quite sure why. Recently Black has here been playing 7...Ne7 (instead of 7...a6). Krisztian Szabo has investigated the modern variation and is of the opinion that it is very playable for both sides. The fact that the London System has found its way into the games of the chess elite fascinated Lars Schandorff so much that he has written an article about it. 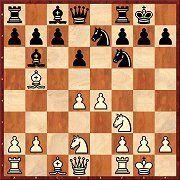 In the diagram 7.Bg3 is the main move, but after 7...0-0 8.Bd3 b6 White achieves surprisingly little with 9.Ne5 and then f4. 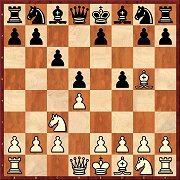 In the second part of his series on the Chigorin Defence Valeri Bronznik puts under the microscope the development of the bishop to g5. This can be played with or without the insertion of the exchange on d5. Black has no major problems, but he must be prepared for a long positional struggle. With the early b3 White somewhat restricts Black’s options in this Anti-Meran variation. 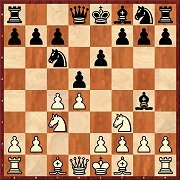 Mihail Marin spots “middlegames with a more stable character” and in his extensive investigations shows himself to be optimistic for the side with White. 4.e3 is without doubt a modest attempt at combatting the Grünfeld Defence. Michal Krasenkow is convinced that Black has no trouble in equalising. Nevertheless, various variations require to be taken more seriously than just for the effect of surprise. Enjoy the best moments of recent top tournaments (Wijk, Gibraltar and Zürich) with analysis of top players. In addition you'll get lots of training material. For example 12 new suggestions for your opening repertoire. Enjoy the best moments of recent top tournaments (Shamkir, Paris and Leuven) with analysis of top players. In addition you'll get lots of training material. For example 13 new suggestions for your opening repertoire. Enjoy the best moments of recent top tournaments (Bilbao, Saint Louis and Dortmund) with analysis of top players. In addition you'll get lots of training material. For example 11 new suggestions for your opening repertoire. Enjoy the best moments of recent top tournaments (Norway Chess, FIDE GP Moscow, WCh Teams) with analysis of top players. In addition you'll get lots of training material. For example 11 new suggestions for your opening repertoire. Enjoy the best moments of recent top tournaments (Chess Olympiad Baku and Tal Memorial Moscow) with analysis of top players. In addition you'll get lots of training material. For example 12 new suggestions for your opening repertoire. Enjoy the best moments of recent top tournaments (WCh Carlsen-Karjakin, European Club Cup and London Classic) with analysis of top players. In addition you'll get lots of training material. For example 11 new suggestions for your opening repertoire. Enjoy the best moments of recent top tournaments (London, Grand Prix Palma, European Teams) with analysis of top players. In addition you'll get lots of training material. For example 12 new suggestions for your opening repertoire.